Worthing Court has been featuring a Chic Chateau Showhouse tour. Head on over to check out even more Showhouse rooms. 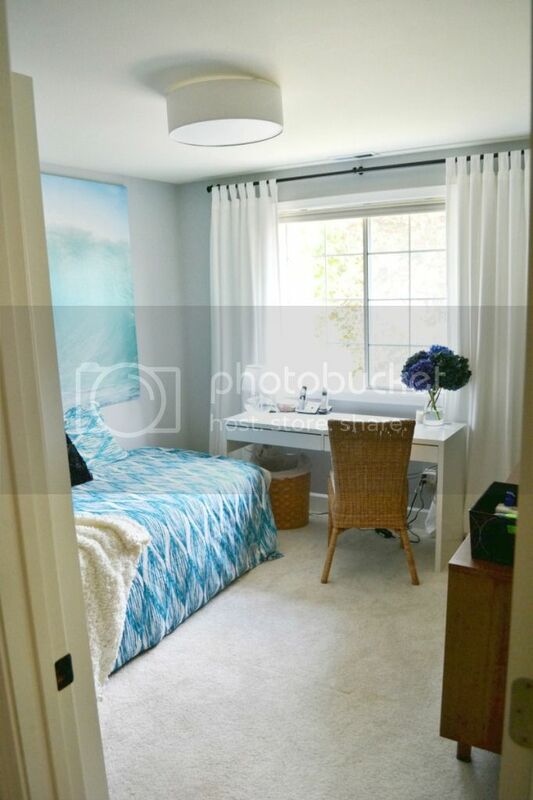 Lilikoi Joy completely transformed her guest room/office. You must go by and check out the before photos to truly appreciate the after. 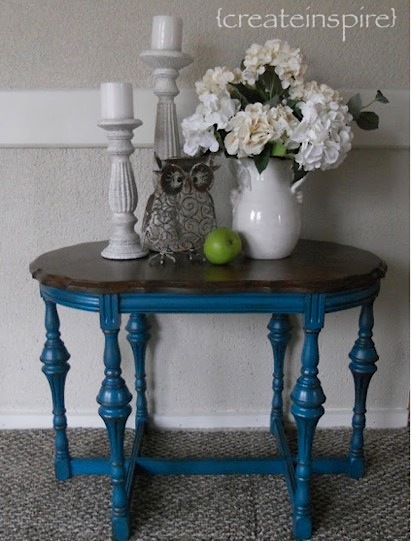 Create Inspire transformed this beautiful table with paint. I just love the peacock blue legs. Kayboo Creations created a piece that mimics bone inlay. She gives a great tutorial on how she achieved this faux look. 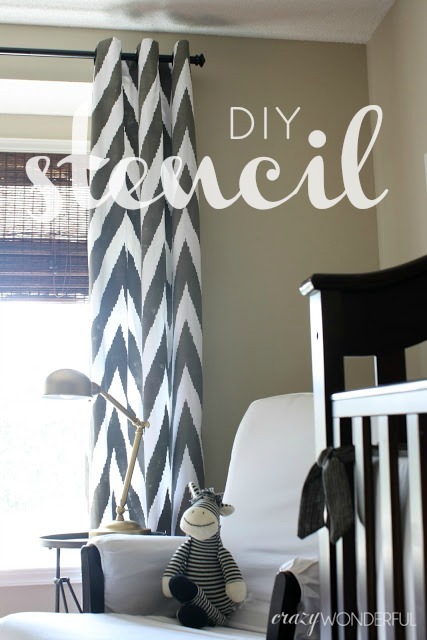 Crazy Wonderful not only stenciled these gorgeous curtains, but she actually made the stencil! She gives a full tutorial. Hope you check it out. Alderberry Hill gives a great tutorial on how to create these super cute wine charms. A Cozy Place Called Home shares her recipe for butternut squash pasta. What a perfect dish for Fall. 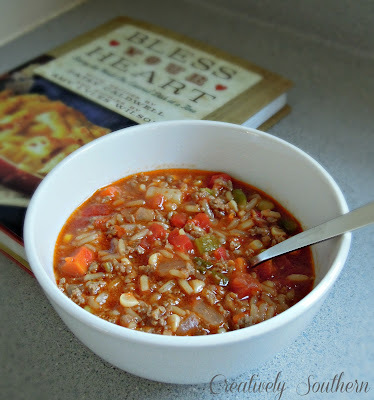 Creatively Southern shared a recipe for a great hearty soup. I love a soup that can be a meal. Thanks for featuring my Butternut Squash Pasta this week. I hope you try it because it's really delicious. Hope you are having a great week Judy. Hi Judy. Thank you very much for featuring the Chic Chateau Dining Room post. And thank you too for hosting your fab party! Always find lots of inspiration here! thanks! All linked up with my pumpkin pie lattes! Thanks for hosting Judy, such fabulous features! Judy--Thank you so much for hosting and for featuring my little table! Love seeing everyone's hard work and creativity! Thank you so much for hosting another great party! I love the beautiful blue table. Gorgeous!! Thank you so very much for including my drapes in your features, Judy! Hi Judy, thanks for hosting. Just read your last post at another party!. Have a great week. Great features and thanks for hosting Judy. Thanks so much for the wonderful party, I hope you have a great Wednesday! Great features again - thanks for hosting! Thanks for hosting,Judy and allowing me to link my Newest, Fall Mantle Decor! wow, i love those stenciled curtains! thanks for hosting. Good day! I admire your postings here. Particularly, your home interior designs.